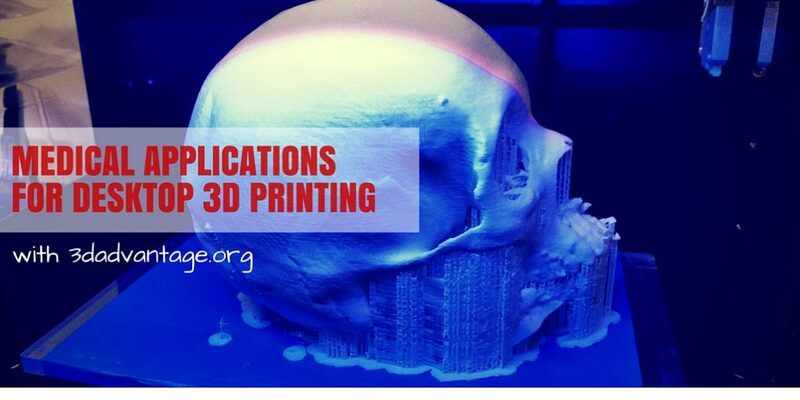 ​Medical applications for 3D printing: for most of us, the idea of 3D printing being used in medicine evokes thoughts of the latest industrial 3D printing technology and multi-million dollar investments. Less known however is the fact that desktop 3D printers (i.e. consumer 3D printers) are also finding their ways into hospitals. A short while ago we have been contacted by David Escobar, a Simulation Specialist at Cedars-Sinai Medical Center in Los Angeles, California. David, an experienced Emergency Medical Technician with several years of Emergency Department experience, has a true passion for helping patients. About a year ago, he started combining this very passion with his zeal for technology, more precisely, 3D printing. 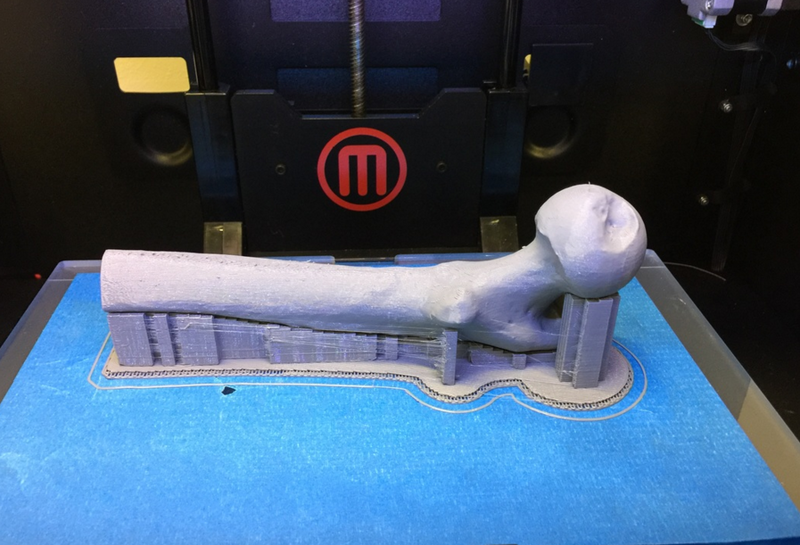 As part of his new role in healthcare education, he was offered the chance to introduce 3D printing to his department at the hospital. Q: What led you to start using 3D printing in your hospital? A: I started using 3D printing one year ago. I had just started to see in the news different uses of 3D printing technology in regards to pre-surgical planning for patients. I knew that we could benefit greatly by bringing this technology into our simulation center. At the time, I envisioned 3D printing being used for pre-surgical planning for physicians, building replacement parts for our equipment and developing prototypes for new skills trainers. Q: Interestingly, you are using desktop FDM and SLA technology, not industrial type 3D printers. Is current desktop 3D printing technology good enough for your purposes? A: I had to do a lot of trial and error when I first started. 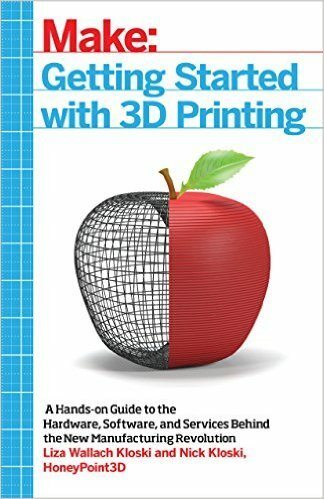 I did not have prior experience using 3D printing and so I was unaware of the different printers and materials available. Certain desktop 3D printers and materials are high quality and reliable for use in healthcare. With any healthcare organization, cost is always a factor when starting a new program. While industrial grade 3D printers offer greater selection of materials and options they also come with a significantly higher price tag. We are able to accomplish a majority of what is being asked by physicians and other users. By using 3D printers for $5,000 and less, I have been able to add more printers and materials bringing the number of 3D printers to five and almost a dozen different materials. If time we will expand to industrial printers but we are successful with what we are using now. Q: What exactly is the objective of the 3D printing initiative in your hospital? A: I use 3D printing in many different ways. First for pre-surgical/procedure planning using patient CT or MRI scans and converting .dicom files to .stl files for 3D printing. I also use it for rapid prototype development; whether designing new training models or modifying existing trainers to better suit the needs. My objective is to bring 3D printing into every healthcare organization by providing guidance and training to ensure new programs succeed. Q: What 3D printers and what materials are you using? Currently I use 4 different 3D printers and a handful of different materials. Form1+ : This is the most used 3D printer. Very reliable and low maintenance. Materials include: Clear, White, Grey, Tough, Black, and Flexible resins. CubePro Duo: Big build volume and capable of using 2 materials or colors. Materials include: ABS, PLA, Nylon, and Infinity wash-away supports. Makerbot Replicator 2 & 2X: Affordable, low cost materials. Materials include: ABS, PLA, Flexible, and Dissolvable. Q: Does each of the 3D printing technologies (FDM/SLA) have a dedicated use? A: I have found FDM printers have good use replicating bone. Being able to customize infill percentages and number of shells helps make the prints very similar to human bone. The SLA works great for printing in clear, flexible and water tight models. With the SLA printer I can achieve higher resolution compared to the FDM printers. Q: What are the limitations that you are seeing with current desktop 3D printing technology when applied in the medical context? A: The limitations I have seen with current desktop 3D printers include: small build volumes, long time to print models and high failure rates. These limitations can be overcome in time, as we have seen 2nd and 3rd generations 3D printers come to the market with major improvements. Q: How do you believe that medical 3D printing will evolve in the years to come? 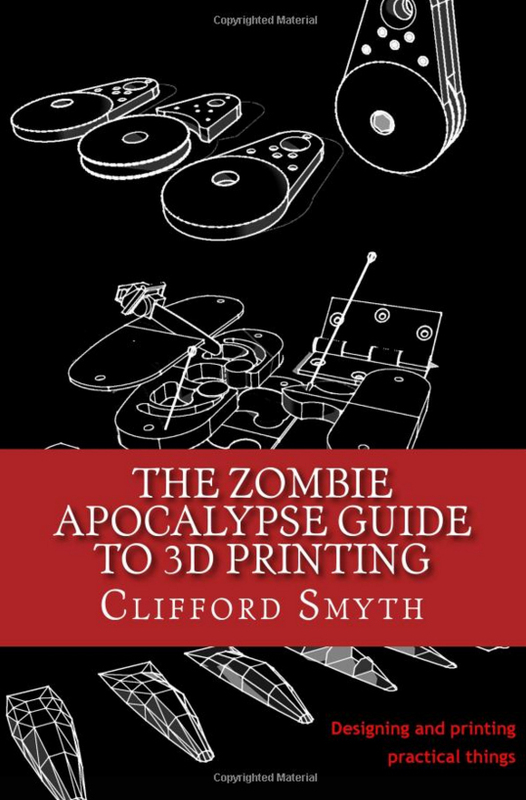 A: Just as computers became widely adopted I see 3D printers following the same path. However, before that can happen cost will need to come down for the 3D printers and materials. The reliability of using desktop 3D printers can be seen at many different organizations. Industrial grade printers remain out of reach for many places due to financial constraints. 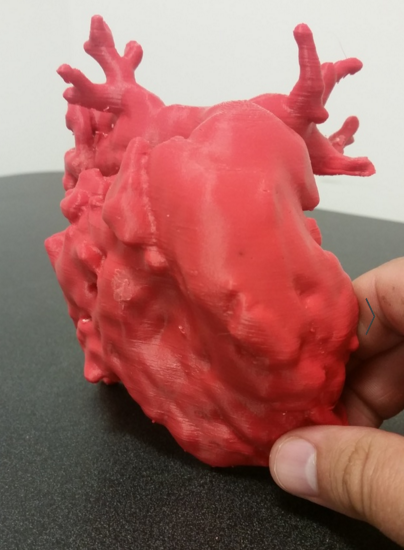 3D printed models based off patient scans are being done but to make this technology accessible for many physicians, proper training and education around software and materials will have to take place. Q: What are some of the resources that you would recommend for a reader who is interested to learn more about this topic? A: I would recommend connecting with healthcare organizations currently using 3D printers. Find out how the printers are being used and the experience they have had with them. Also look to Twitter to see people that are making great progress in bringing this technology to healthcare (follow me @3DAdvantage). You can also look at my website, complete with blog posts and pictures showing the prints completed from different 3D printers. If you have any questions for David, leave a comment below and he'll get back to you as soon as possible. In our cardiology and radiology department we are starting to try out printing CT and echo scans for instructional purposes. We use the Apple-only Osirix software to go from DICOM to STL. I have printed a couple of scans; getting from bone to scan is easy, to get a nice clean model of a heart is more difficult. Do you have some advice for us? I am a Biomedical Engineering student in Germany who is currently looking for a thesis project. In the lab we are working on we have a 3D Printer (Hyrel 3D System 30 to be more precise) and I have been given the task to use this device in order to improve or create patient specific instrumentation. I have been trying to contact surgeons to hear from their side where their difficulties with current tools lie, but I have not been succesfull. I would really appreciate it if you could maybe take a moment and give me your opinion about what could be done, since you have so much experience in this area.